The silver screen has often been a teacher of life lessons. For instance, E.T. and the Alien series taught us all about creatures from other planets: some make excellent house pets; others are only interested in cuddling up with Sigourney Weaver. Driving is no exception. These are the 15 things that movies taught me about driving. 1. There’s really no need to keep your eyes on the road. So long as your keep your hands in the 10 and 2 position and occasionally turn the steering wheel back and forth, you can be full engaged in dialogue with your passenger. Don’t worry; the road will still be there when there’s a lull in conversation. Hopefully, the drivers have good auto insurance. 2. If you have to get in a car chase with police in America, do it in the countryside. If there’s one thing that Smokey the Banditand The Dukes of Hazzard have taught me, it’s that the good ol’ boys beat out rural police every time. Plus, American cities have cops like Dirty Harry, and I think everyone knows who feels lucky in that scenario. 3. If you have to get in a car chase with police in Europe, do it in a major metropolis, and have someone with the initials “J.B.” drive. As both the Bourne series and every Bond movie ever made have taught me, urban European police cannot catch Jason Bourne or James Bond no matter how hard they try. Maybe it’s those tiny little cars, maybe it’s the strange sirens, maybe it’s because James Bond occasionally ends up driving an armored tank… but the inner-city Euro law enforcement doesn’t stand a chance against a fashionable spy. 4.Never be mean to a car, they’re people too. As I learned after watching Pixar’s movie Cars, they aren’t just hunks of metal to be used and thrown away. They’re adorable, spirited companions. And the best ones sound like Owen Wilson.From an insurance stand point, I am not sure if they need life insurance or auto insurance, or if they are one-in-the-same. 5. If you ever lock your keys in your car, just grab a coat hanger, straighten it out, and thrust it down in between your door and your window. It appears this is not an exact science. As demonstrated by many a cinematic street tough, you just jam the hanger down there and wiggle it around until the door opens. 6. If you ever lose your keys, just cross some of those wires under the steering wheel and it’ll start right up. Again, not an exact science. I don’t know if you cross the red wire with the blue wire or the black wire with the yellow wire, but evidently it doesn’t matter. Just rip some wires out under the dash, try a few combinations, and within 5 or 10 seconds, you got yourself a running automobile. The engine starting may or may not be accompanied with a spark on the wires. If you have any trouble, just say, “Almost got it!” in a strained voice. That seems to speed up the process. 7. No matter your gender, leaning over the open hood of a muscle car increases your level of attraction. 8. Never, ever, flash your high beams at a passing car without its lights on. Much to my dismay, Urban Legend may not have been Oscar-worthy, but it left a lasting impression. Flash your lights at another car and you’re asking for trouble. Cheesy, poorly acted trouble, yes, but trouble nonetheless. 9. Never sit shotgun if there’s a mobster sitting behind you. Any smart wise guy will tell you this. It could be a gun; it could be a guitar string… if there’s a Mafioso in the vehicle, don’t put your back to him. This is even more important if you have carryout cannoli with you. And to answer your next question, no, Tommy gun holes through the interior are not covered on most insurance policies. 10. Don’t ever take on Jason Statham in any car-related activity. Whether it’s The Transporter series, the Crank series, Death Race…this man can take any vehicle and out race, out maneuver, and out power anybody. If by some miracle his adversaries can destroy his vehicle, he’ll just jump out the window onto theirs. He’s like the Tiger Woodsof anything with RPMs, assuming we are strictly talking about Tiger the golfer, not Tiger the husband. 11. Cars are great hook-up spots. Whether you’re in a classic car aboard the Titanic or in the middle of stealing someone else’s car (Gone in 60 Seconds), something about the automobile continues to awaken pheromones. Comfort, of course, is a secondary issue in these scenarios. 12. “Low Rider” is hands down the best song to play while anywhere near a car. It is one of the few things that Cheech,Chong, Matthew McConaughey, Nicolas Cage, and Ice Cube can all agree on. If you own a car, drive a car, or even look at a car, War’s Low Rider has to get a spot on your playlist. 13. For every great hero, a great hero-mobile. 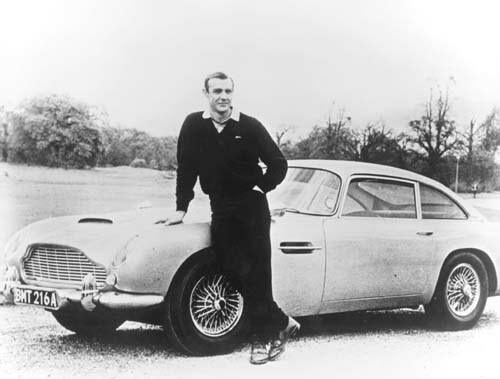 The incomparable James Bond’s BMWs and Aston Martins shoot missiles, are driven by cell phone, and chill champagne. Batman’s Batmobile can drive up walls, hop from roof to roof, and has a jet engine (you know, just in case). The Punisher has an old-model GTO. Tony Stark (Iron Man) has an Audi R8. The Ghost Busters had a Cadillac. Doc Brown had the time-traveling DeLorean. 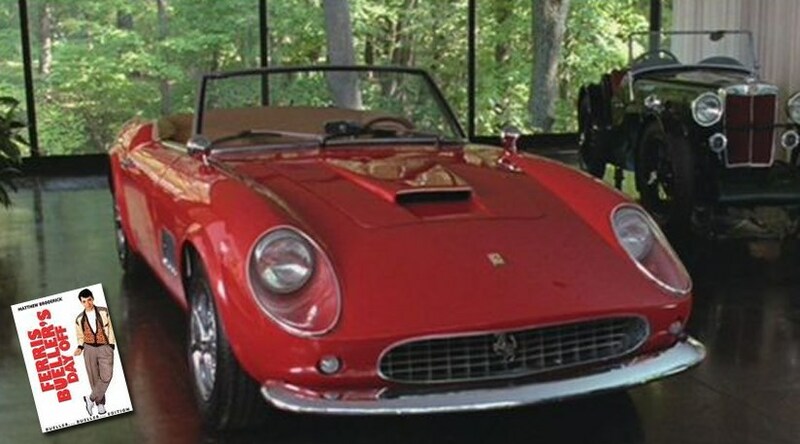 Even Ferris Buellerhad a Ferrari (sure, it was Cameron’s dad’s, but let’s not split hairs). If you’re driving around fighting evil (or avoiding truancy officers), it’s crucial to do it in a stylish ride. 14. Even musicals are cool if there’s a cool car involved. 15. Sooner or later, you’ll be in a hurry, and you’ll drive into a cart of produce or a pane of glass. It’s inevitable. And the guys pushing the cart or carrying the pane of glass will be very disgruntled. Be sure you can flash them your insurance card, so they don’t take their anger out on you. When it comes to driving, Hollywood is like that crazy uncle that lets us do things our parents would never have been ok with. Sure, I may never break in and hotwire a car or lead police on a chase through the streets of Paris, but the movies have shown me time and again that if I did… it would be awesome. Thanks for that recommendation; it is really helpful for me to say!